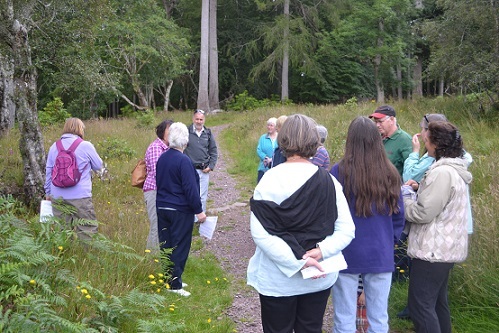 This project aims to develop a programme of guided walks for residents and visitors alike to provide people with an insight into various aspects of the Applecross landscape, including archaeological walks, wild food walks and wildlife walks. The walks in the programme, led by trained guides, were spread across Applecross, and the programme designed to cater for a range of abilities. Over the course of the ALPS scheme over 400 guided walks took place, free to visitors and locals. The walks took in the heritage, natural heritage (plants), wildlife and history of the Walled Garden. They were well attended and run by Gill Fairweather, Jackie Luiba and Ruary Cameron. Post ALPS, Gill has continued to take nature walks, which has been really popular.